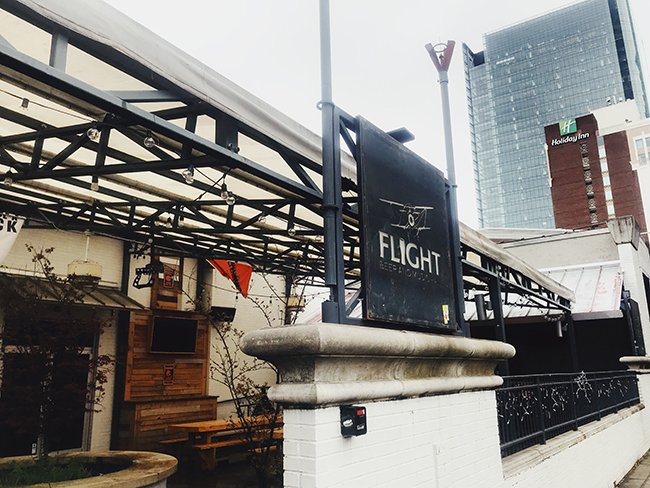 Katherine Peralta with the Charlotte Observer reported in February that Topgolf filed initial paperwork to open an establishment at 314 N. College St., which is home to Flight. The space isn’t nearly big enough for one of Topgolf’s traditional venues, like its 65,000-square-foot establishment in southwest Charlotte, and the property owner assured Peralta in February that his company had no intentions of demolishing the building, which also hosts Lucky’s Bar & Arcade and Q.C. Social Lounge. 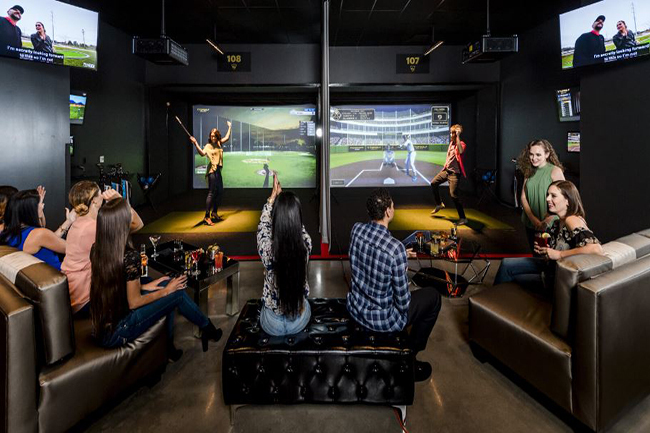 According to the release, each Topgolf Swing Suite location features a massive screen with a variety of multi-sport games, as well as HDTVs, lounge seating and food and beverage offerings. Each bay hosts up to eight people. A file photo of a Topgolf Swing Suite from the company’s website. Topgolf spokesperson Carolina Jerome would not confirm that the property will be home to Charlotte’s first Swing Suite, only stating that, “We are working on bringing another Topgolf venue to Charlotte,” and that there was no further news at this time, but the February filing and potential Flight closure certainly tees things up for Topgolf.